Note: Todays weight selection should be approached in the following manner: Advanced Athletes (155lb. / 105lb.) Intermediate Athletes (135lb. / 95lb.) Beginning Athletes (95lb. / 65lb.) Regardless of weight section, focus on consecutive repetitions, and high attention to technique. There will be a 15:00 time cap on todays workout. Compare todays effort to December 21, 2015. Hayward Police 2nd Annual Barbells and Badges 2nd Place Winners! 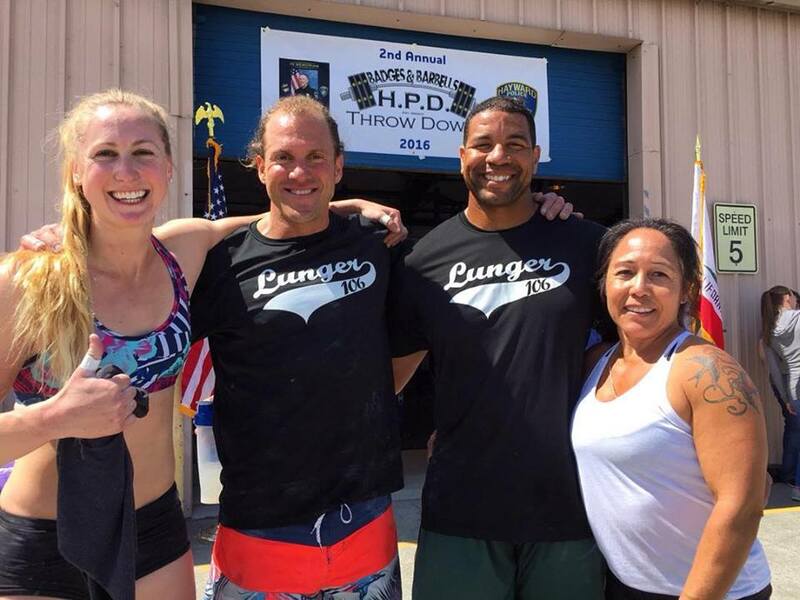 Cobbie, Coach, Ty and Naomi take 2nd Place in the Second Annual Hayward Police Department Badges and Barbells Competition. Watch a video of their incredible performances HERE.